What is Taekwondo? Taekwondo means the "way of the hand and foot" in Korean. This martial art includes punching, kicking, jumping, and blocking. It is a blend of karate, which came from Japan and taekkyon, an ancient Korean fighting style. In 1930 12 year old Choi Hong Hi started studying martial arts. He began training in taekkon in South Korea. He later studied Karate in Japan. He eventually combined the two styles to create his own martial art. It would later become known as Taekwondo. It is the national sport of Korea. Many MMA fighters also train in Taekwondo because of its self-defense and fighting style. They include Anthony Pettis, Bas Rutten, Anderson Silva, and Mauricio Rua. 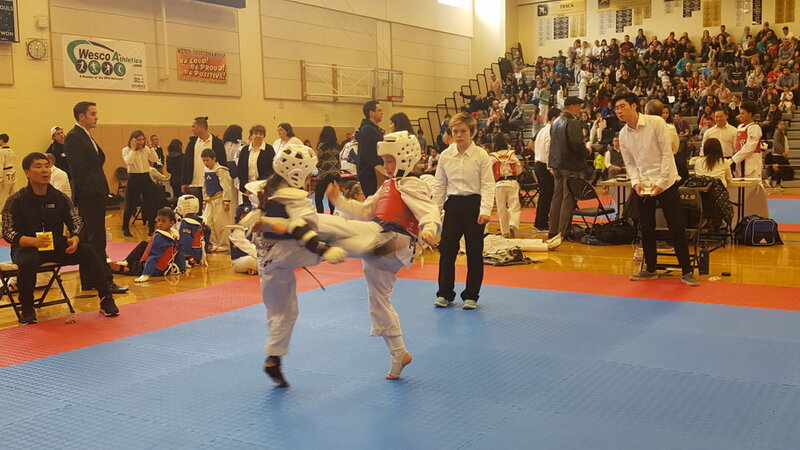 Taekwondo exercises the entire body, including the vital organs, giving the student a high level of motivation both in the gym and in life...Taekwondo creates spiritual balance through physical activity. It originated from the efforts to balance mind and body through harmony of power, actions, and the need to control the mind. Taekwondo is widely respected as a good form of self-defense. Students who are serious about training do find it physically and mentally demanding. It is also emotionally satisfying. For many people across the globe, studying and mastering it is a way of life! In 2008 The Rebel was released in the US. It starred Vietnamese martial artist and stuntman Johnny Tri Nguyen. He used his Taekwondo skills in the movie. He also used them as a stuntman in Spider-Man and Spider-Man 2. In 2010 Taekwondo star Noah Ringer starred as Aang in The Last Airbender.